Following the battles of the Hungarian Cup and the Euroleague quarter finals it is time for some league action again. There are four games left of the regular season. 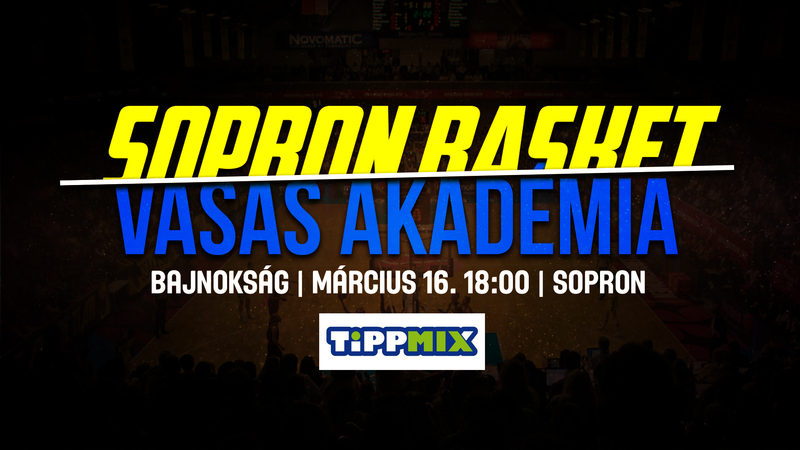 First we will play Vasas Akad�mia on Saturday at 6 pm. Some wonderful weeks have passed recently for our club, winning the Hungarian Cup and eliminating Bourges, making it to the FINAL4 for the third time in club history. After this rough stretch the team could use some rest, which they have deservedly spent after coming back home from France. Some players have got a longer time to rest, and that is why one of the heroes of the victory against Bourges, Candice Dupree will miss the game against Vasas. Her game winner will definitely be there in the look-back materials at the end of the season. The rest of the players are at Roberto Iniguez's service, who has spent a lot of time with his colleagues in the arena even on rest days to plan the work they will have to do in the coming period. Since we have won the regular season already, we can prepare for the much bigger tasks ahead of us in April, where we will have to compete in the FINAL4 first between April 12th and 14th and then we will play to defend our title in the league play-offs. Considering all that we can be sure that we want to win the remaining four league games as well and end the regular season with an unbeaten record. Before the game against Vasas we have made a funny pre-game interview, which will reveal not only what Kamilla Varga expects from the game against the team from the capital. The derby can be followed via live online statistics at the Hungarian Federation's website, and via live video stream at sport.mindigo.hu.